and fills the gap in knowledge around the impact of playgroup attendance on early child development in Australia. 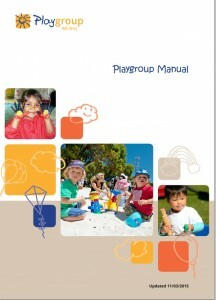 The Playgroup Manual is a reference book for discussion and decision making at playgroup. Use the information in the manual to work positively through challenges and conflicts you might encounter at playgroup. This manual is an important resource for community playgroups. 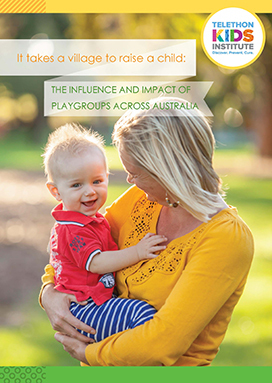 It was developed by Playgroup WA to provide information, advice, strategies and templates to support the families to establish and manage successful community playgroups. It aims to show how to get the most out of the playgroup experience for children, adults and the community. Our Little Things Blog features content written by playgroup mums and Playgroup WA staff. With articles as varied as "Ways to share at playgroup" to life style articles about the Bachelor there's bound to be something to tickle your fancy! Check out our blog page or subscribe and get notifications when a new post is made. Catch up on all the latest news and keep up-to-date on events and play ideas. Our eNews is sent out monthly to Playgroup WA members, head to our home page to subscribe.